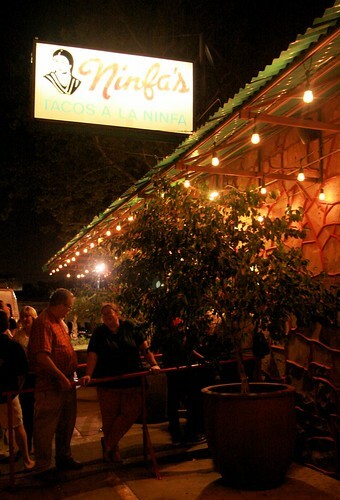 I'm grateful for a wonderful evening of catching up with dear friends, and revisiting a true "joint" - any trip to Houston is not possibly complete without an immediate trip to "Ninfa's" (the original one on Navigation Road is the only way to go!). Their pickled carrots, guacamole, chalupas, and award winning (in my book!) margarita's on the rocks with salt set the bar incredibly high for tex-mex food! Ah yes, I'm back!! And your Dona Elvira is online at the ROH website. What an entrance! There will be more visits to Ninfa's before you leave :-) Glad you are back in Houston - I am thrilled at having you and your camera here!